Sierra Leone Islamic Web - Bringing you authentic Islamic Information in Sierra Leone and Beyond. Sierra Leone has lost another great,renowned and very vibrant Sheikh. 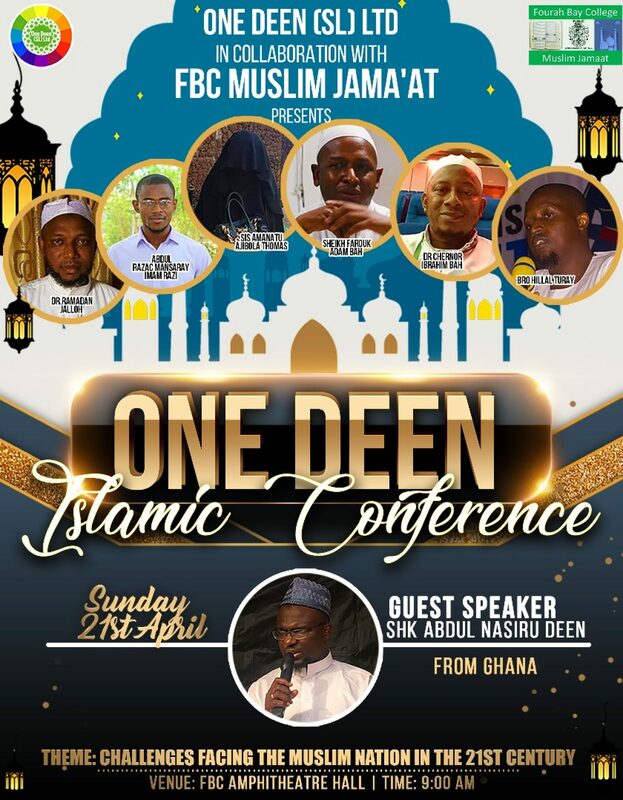 KING MUHAMMAD VI FOUNDATION, SIERRA LEONE CHAPTER QURANIC COMPETITION ENDS IN GRACE. Daqvah Charity Foundation Provides Lunch For the Needy in Freetown. Article: Religious Tolerance: A Blessing from God to Sierra Leone. First Islamic/Modest Clothing Boutique opens in Freetown.